Ragnar is about doing things together that we could never do alone - either out running on the road or on the trail. Ragnar puts on races all over the world all through out the year! Ragnarians will run anywhere from 12 to 25 miles (or double that on an ultra-team) divided into three sections. The exact mileage varies by race. Some of my college friends and I thought it would be a fun way to reunite and get our feet running again! I haven’t seen them in years! 4 of us played Division 1 soccer at the University of Washington, so we have no problem throwing ourselves into some type of physical competition. ;) We just can’t help ourselves. The 4 guys played football and baseball at a college in Oregon. I’ve always wanted to see Zion, and the next one just happened to be there - so it couldn’t be more fitting 🙏🏼 And it lived up to its name - it was unbelievably gorgeous! Our race was through Ponderosa Ranch. 15 miles each and a total of 120 miles. Very hot in the day and pretty cold at night. It was a loop formation so you start and finish in the same place. Legs were: 3.1, 4.3, & 7.6 Miles. You set up a little camp site and are able to hang there in between your runs. But as you run all through the night, you don’t really sleep - and it’s rough but it’s a part of the challenge and it was totally do-able! It’s a very organized camp village too! There’s no better feeling than being able to be there for someone who needs it and I’m so proud of our team for the supporting each other through the hardest parts! Another very hard part was running in the dark. Yes pitch black! 😳 That was a new one for me. I ran two of my legs (7.6 miles & 4.3) at 10pm and 4 am. Head lamps are a MUST. And I’m thankful my friends had some to share! People definitely fell and I tripped multiple times but caught myself. So I definitely recommend preparing for the dark! you also get extremely dusty. Not just on your body but in your nose and mouth. So having buffs (hankerchiefs) sold there really helped keep that out! for the day time race I wore small shorts and a tank top as it was 90 degrees. & at night I wore long sleeve compression shirt with long spandex pants. I also wore a small puffy jacket for one leg because it was pretty cold. i wore Nike Air zoom Pegasus 34. They worked great and they’re actually on sale right now for $87 at road runner sports. There’s cushioning, and yet it’s not ultra soft. The upper fits well without cocooning your feet in material plushness. The Zoom Air bags provide a snappy feel under the forefoot and rear, and the outsole is as durable as they come. 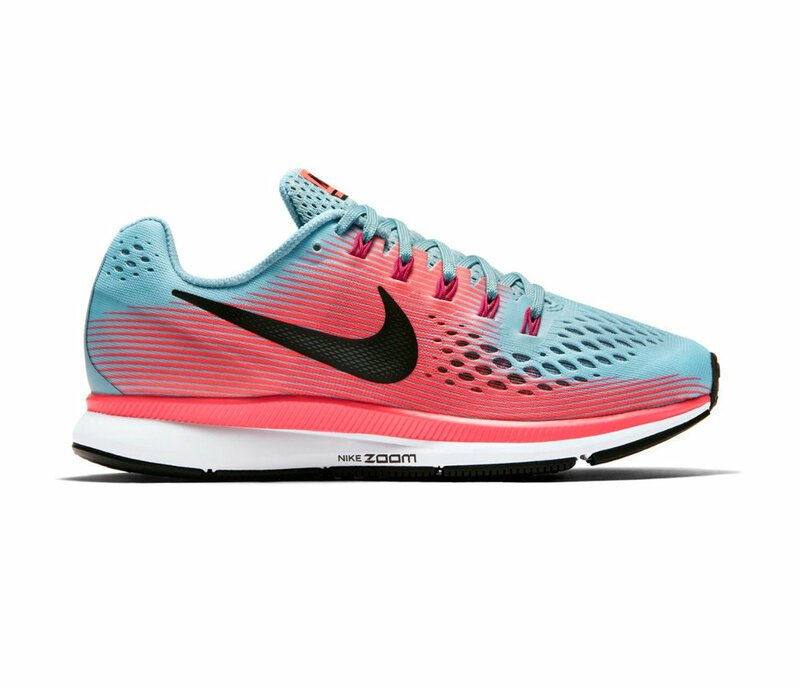 In other words, the Pegasus 34’s lack of special is what makes it endearing to so many. They’re a water bottle company based out my hometown in San Diego. Founded by Jussi Oksanen, an Olympic athlete and professional snowboarder for 18 years, who has seven X Games medals to his name and is widely known as one of the best backcountry snowboarders of all time. They’re products are versatile, durable and sustainable. Ragnar is a zero waste race - so teaming up with Mizu was the perfect match. Also, I’m really into their style and sleek design. my favorite is the S6 - which comes in 7 colors and is vacuum sealed to keep your water icy as well as lightweight so you can run with it! Our team ended up killing the stats and we honestly weren’t expecting to - we just did our best and threw ourselves into it! We placed 6th overall out of 459 teams (3.6k runners) & 1st in our category! We finished the 120 miles in 21:02:46. We ran from 3pm-12pm. I have never ran a marathon but I think running a team relay is something I’d enjoy more as your motivation is more than just finishing but to get back because your teammate is relying on you! and running a trail/with breaks in between was a whole different challenge than running straight through. I’d say give it a try because we LOVED IT! It’s cool you get to see your results after too! Overall I had a blast, although I left barely able to walk - it was well worth the challenge and there ain’t nothin like a runners high! @MizuLife fueled our team throughout the strenuous weekend of elevation running and most importantly empowered Ragnar’s zero plastic waste initiative. Many thanks! Ragnar was such a fun experience! I had never done anything like it and now I’m hooked. The trails were tough but I loved competing as a team and I even liked running in the dark. Zion is amazing!